The hospital was one of the most developed institutions of medieval Islam and one of the high-water marks of the Muslim civilisation. The hospitals of medieval Islam were hospitals in the modern sense of the word. Piety and Philanthropy cannot very well be divorced in medieval Islam, but by observing the Muslim hospitals and other institutions of charity and social welfare it is seen quite clearly that the idea of public assistance had developed beyond what piety alone could have produced. A discriminating and comprehensive consideration of the necessity of public assistance and social welfare, beyond mere religiosity, may be said to have been responsible for the quality and quantity of the hospitals of Islam. Moreover, the humanitarian features of the Islamic medieval hospital must not be allowed to eclipse its high medical standing per se. The hospital was one of the most developed institutions of medieval Islam and one of the high-water marks of the Muslim civilisation. The hospitals of medieval Islam were hospitals in the modern sense of the word. In them the best available medical knowledge was put into practice. They were specialised institutions. Unlike the Byzantine hospitals, they did not have a mixed function of which the treatment of the sick was only one part. Of the pre-Islamic hospitals, the temples of healing, represented mainly by the Greek asklepion, were places to which the idea of miraculous cure was far from being alien. The psychological effect and the mysterious atmosphere of these temples must certainly have played a great part as far as the experience of the patients was concerned. 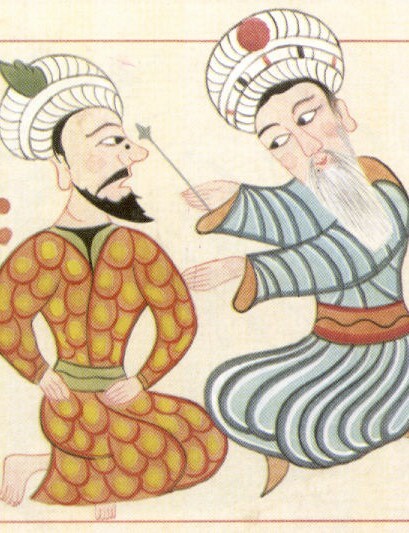 Although psychological factors were not ignored or excluded from the Islamic medieval hospitals, the essential and epoch-making characteristic of these institutions was their insistence on high standards and their strict adherence to scientific medicine. The king of Egypt Mansur Qalawun (1279-1290), while still a prince, fell ill during an expedition which he was directing in Syria. He was so impressed by the Nuri Hospital of Damascus, founded in 1154 by Nuruddin Mahmud Zangi ibn Aksungur, in which he was treated, that he made a vow to found a similar institution as soon as he ascended the throne. The famous Mansuri Hospital of Cairo thus resulted from that enthusiasm borne out of close acquaintance with Damascus's Nuri Hospital. This shows that the larger hospitals of medieval Islam were fit to cater to people of highest social standing. As the hospital in Islam reached a high standard to which it had not attained before, it must have gone through a process of development within the World of Islam itself. 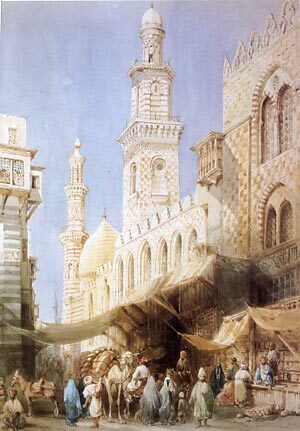 The first and earliest six hospitals of Islam may be said to mark an initial process of speedy evolution spanning a period of less than two centuries during which, beginning apparently from a modest status, the Islamic hospital became a stronghold of scientific medicine and adapted itself to Muslim ideologies and economic requisites. It thus acquired a stabilised form, spread widely, and became an integral part of city life.